Sylvain Gouguenheim’s book, Aristote au Mont Saint-Michel has a subtitle: Les racines greques de l’Europe chrétienne (The Greek roots of Christian Europe). It sets the tone of the book: the roots of European civilization are in Greece, in its civilization, philosophy and science—and not in Islam. According to Gouguenheim, European culture, its Renaissance, its science were decisively influenced by ancient Greece and they were created mostly by Europe itself. Islam didn’t have a “decisive” role in forming it, as maintained by many modern day academics, politicians and the media. Gouguenheim believes that it was Europe that pulled itself out of its “Dark Ages”, by its own effort. A number of “renaissances” during the Middle Ages—starting during the reign of Emperor Charlemagne—were important mile stones in this development. 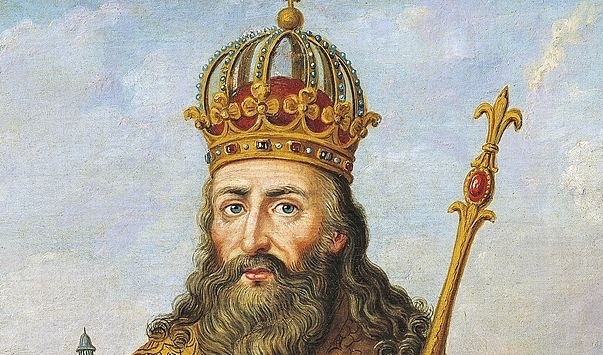 Emperor Charlemagne instituted a program of improving the educational level of the population in his huge empire. In 789 A.D. he introduced legislation which demanded the establishment of schools in bishoprics and monasteries where children of the elite could learn basic skills like reading and writing. An increasing number of libraries was also established. For example, at the end of the 10th century the library in the monastery of Bobbio, in Northern Italy, had 600 manuscripts—150 of which dealt with mathematical or natural science topics. The Categories by Aristotle was among them. [T]he most important contribution of the Carolingian period was the collection and copying of books in the classical tradition … books were collected, corrected, and copied—including the Bible and the works of the church fathers and various classical authors … The recovery and copying of books, combined with Charlemagne’s imperial edict mandating the establishment of cathedral and monastery schools, contributed to a wider dissemination of education than the Latin West had seen for several centuries and laid the foundation for future scholarship (p. 196). All this introduced an intellectual interest among the elites, leading to discussions, publications and improvements in educational techniques—and in general to the exchange of ideas. Certainly, this “Carolingian Renaissance” wasn’t much interested in a revival of sophisticated, antique Greek knowledge of a secular kind. Its main purpose was religious. But it built some of the foundations of later developments: improvement of literacy, establishment of schools and libraries, increased intellectual interest. An important development followed in the 11th and 12th centuries: schools became more urban, in contrast to the more rural monastery schools. Many schools—the “cathedral schools”—were attached to cathedrals in Europe’s cities and were run by clergy, but a number of other schools, not directly linked to the church were also established in the cities of Western Europe. Furthermore, the “cathedral schools” also started to develop a more secular curriculum and sometimes started to detach themselves from the cathedrals, developing into the early universities. 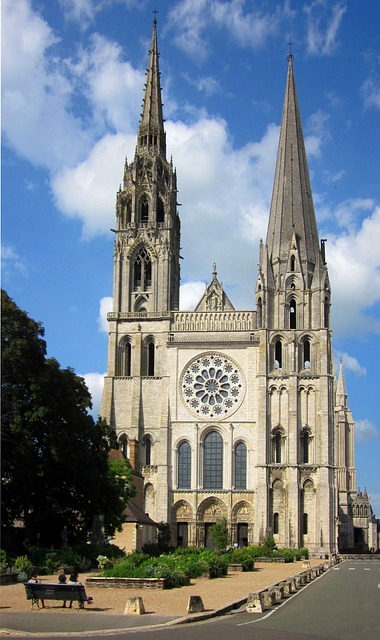 In countries other than France, this connection of the newly established schools to cathedrals didn’t exist. For example, Oxford didn’t have a cathedral, but its school became known for quality studies in law, theology and the “liberal arts” (i.e. non-religious subjects). There was a determined effort to recover the Latin classical works (and Greek classical works, whenever available in Latin translations). Literary, logical, legal and philosophical works of classical authors were studied. Ideas on cosmology and natural philosophy were influenced by the Latin translation of Plato’s Timeaus. [T]he urban schools, like European society more generally, saw a marked “rationalistic” turn—that is an attempt to apply intellect and reason to many areas of human enterprise … [C]onfidence in human intellectual capacity pervaded the schools, where philosophical method was applied with increasing zeal to the whole of the curriculum, including biblical studies and theology (p. 206). Another important feature of intellectual life in the 12th century was a kind of naturalism: the idea that God created the world, together with the laws of nature, but after that he left it more or less alone. After its creation, the world continued to work according to cause-effect relationships in nature. These causal relationships can be relied upon as permanent and can be understood by natural philosophers and scientists—an idea important as a precondition of scientific activity. Thierry of Chartres and William of Conches—both of them teachers at the cathedral school of Chartres—were prominent representatives of this naturalistic philosophy. The above developments shaped the European mindset in a rationalistic, naturalistic, science-friendly direction. 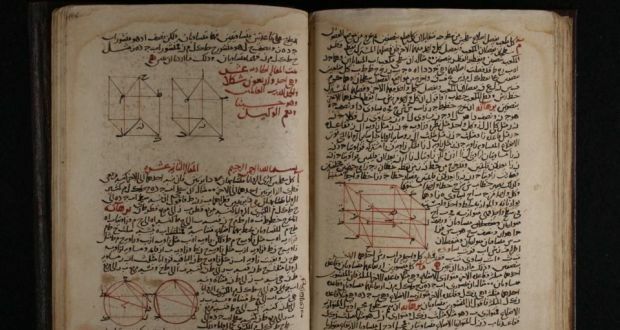 Early translation of Arab medical texts and cosmological treatises like the book with the Latin title Liber de orbe by the 9th century Jewish astrologist Mashallah did influence the views of these scholars. But was this a “decisive” influence? I don’t believe so. The decisive influence on the thinking of these scholars came from Greek philosophy, in particular Plato, from Christianity, and from their own efforts to try to integrate these two sources. By the way, though this should not minimize the contribution of these Muslims and Jews living in Islam-dominated areas, their thinking was decisively influenced by Greek authors like Galen, Hippocrates, and Aristotle. In fact, the flourishing of Islamic philosophy was mostly over by the time that Thierry of Chartres and William of Conches lived and developed theories of natural causation in the late 11th and early 12th century. Now the ideas of the Muslim religious scholar al-Ghazali (1058-1111) started spreading in the Muslim world. Al-Ghazali, who became extremely influential in Islam later, rejected the idea of natural laws and of natural cause-effect relationships: in his view every single event was determined by a direct intervention of God in the natural world. The 13th century saw a further mile stone and a kind of “knowledge revolution” in European intellectual life, when scholars at the new European universities started studying, commenting and debating the works of Aristotle on a large scale. The precursor of this development were new translations into Latin of most of Aristotle’s works, made during the 12th century. The foundations of later advances in Europe were laid down during the “Carolingian Renaissance” and the “Renaissance of the 12th century”, between the 8th and 12th centuries. Literacy was improved, schools, universities and libraries were established, books were collected and maintained. A rationalistic and naturalistic way of thinking was practiced which explicitly allowed for the existence of natural laws and cause-effect relationships. There was no “decisive” role of the Islamic civilization in any of this—and certainly nothing here supports the claim by Zeinab Abdel-Aziz that “only through Arab thinkers did Europe learn rationalism” (see Part 1). The next Part will investigate the validity of the “knowledge transfer debt”.